Born and raised in Japan, Hideko moved to New York in 1990 where she worked in the Wall Street. Hideko studied at the CIA (Culinary Institute of America) in Hyde Park, NY, and changed her career from finance to food, founding COLTONS NEWYORK, a food event & lifestyle company in 2009. Since 2010 Hideko has been developing and teaching a NY-style entertainment class called NY Omotenashi (hospitality in Japanese) cooking class for Japanese women, with more than 3,000 members all over the world. Her class goes beyond cooking by celebrating the total experience of entertaining including cocktails, table top decorations, flower arrangements, pairing with wine, scent and music. 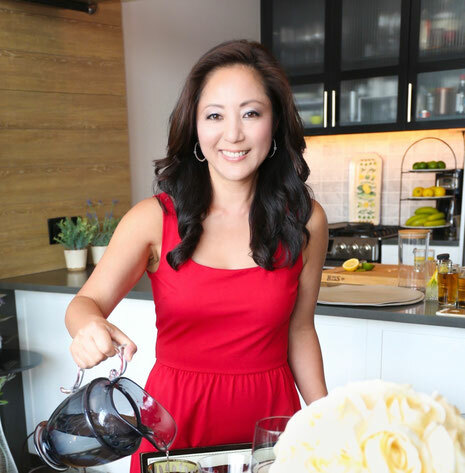 Her class has been featured in numerous magazines and newspapers, and she has a regular TV segment called America’s Kitchen for Fuji TV USA/Fujisankei. On December 7th, 2015, Kodansha (the largest publishing company in Japan). published Hideko's first cookbook in Japan. The book “NY Omotenashi Recipe” (NY Style Entertainment Recipe) introduces her unique cooking style to the Japanese people. Now she introduces "NY Style Entertaining" to Japanese food and entertainment aficionados. Hideko will share her secrets for entertaining with Japanese flair in the unique experience! !